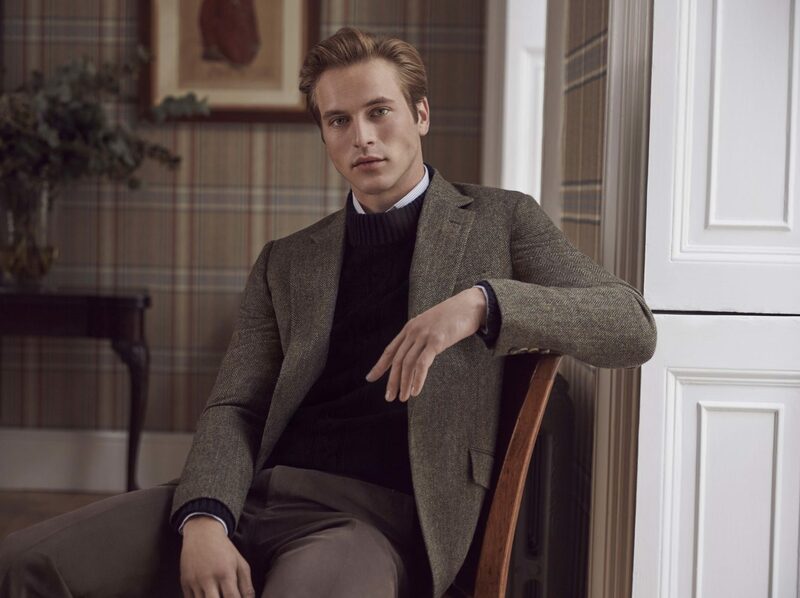 Huntsman took its very British brand of tailoring East last week, when the house hosted a Gentleman’s Evening at Beijing’s InterContinental Beijing Sanlitun hotel. 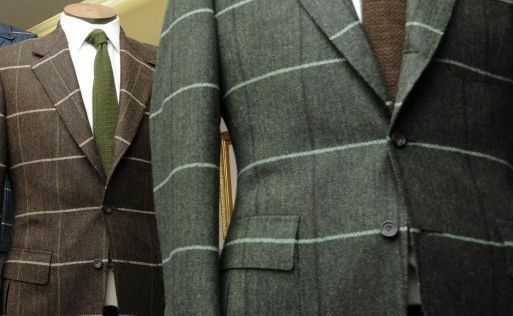 In a space whose vast windows overlooked the bustling Chinese city, Huntsman put on display ten iconic designs from its archives, to illustrate the myriad ways in which the house interprets British style. 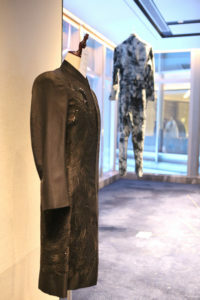 Among the designs was a bespoke coat created for David Bowie in 2002, which was designed by Alexander McQueen and crafted by Huntsman, embroidered with sequins and beads to depict peacock feathers. 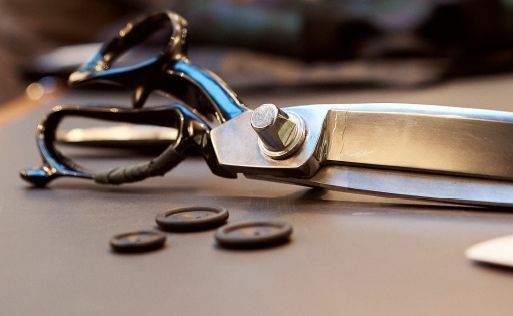 There was also the jacket cut by Huntsman’s head cutter and creative director Campbell Carey for the film “Kingsman: The Golden Circle,” and a women’s mink coat, that’s been painstakingly preserved in the Huntsman archives for almost 100 years. 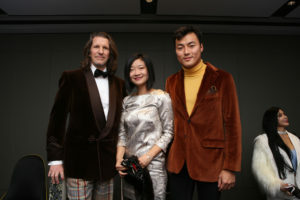 The party saw an eclectic crowd of Beijing dwellers get a glimpse into Huntsman’s world, with guests drawn from the worlds of music, art, and fashion. 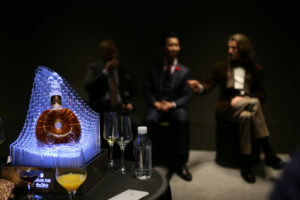 While viewing the Huntsman pieces, guests could also taste Rémy Martin’s Louis XIII cognac, which is presented in a handsome Baccarat crystal bottle and renowned for its blend of flavours and aromas such as myrrh, plum, honeysuckle, leather, and figs. 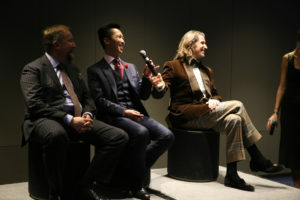 The event follows Huntsman’s ongoing series of trunk shows visiting its current and future clients in Asian cities, and allowed fans of the house to learn more about Huntsman’s storied history and traditions. 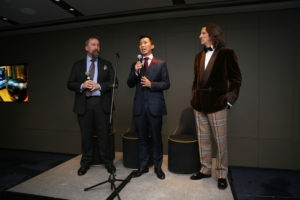 Later in the evening, Chinese artist Wei Ligang, who’s known for his calligraphy-inspired ink paintings and whose work has hung at the British Museum, unveiled a new work for Huntsman. 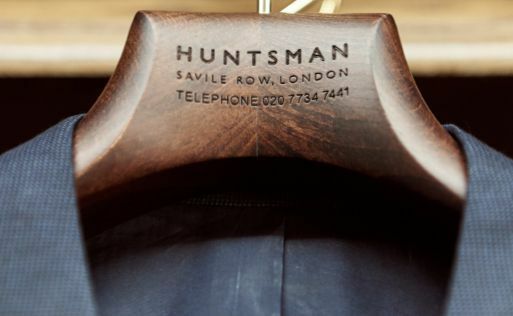 Rendered on sepia-toned paper, the work etched out “Huntsman” in ink in both English and Chinese characters. 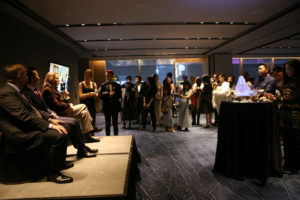 And after all that ceremony, a DJ took to the decks, with the crowd – impeccably clad in black tie – partying late into the night.